If you came here looking for that woman who used to make those fancy breakfasts, well, I have moved to a new online home. This was long overdue, actually. This last year, and maybe even more, I grew out of the blog that I had so lovingly built and nurtured, and which you all so beautifully accepted and loved back. It has always been a process, and a large part of it is to let it reflect who I am, and what I am becoming. Somewhere, we faltered on that connect. So, this is definitely NOT a Goodbye. Something new is already being created, lovingly being shaped into a reflection of who I have now become. I hope you all will show it the same love that you showered on this blog. I will keep you all informed when the new domain is up and moving. 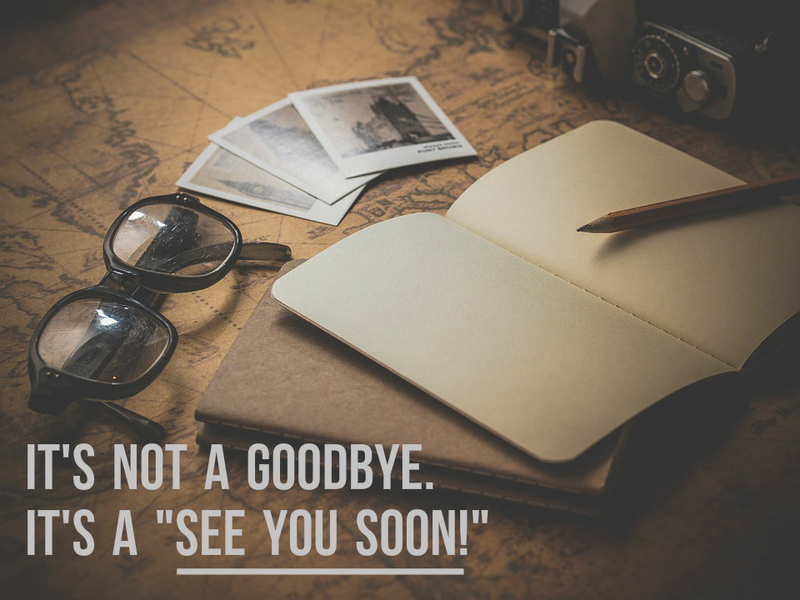 Looking forward to a new, exciting journey with you all. Sleeplessness. I don’t know if that’s the first thing you are left with when an epiphany hits you. But it’s happening. I guess it’s been unfolding these past few months. Or maybe even been calling out to me these last couple of years. But, you know, stuff happens, and you don’t realize that it’s all one sign after another. And then, one day, it gets triggered. There is no mirror around, but you see yourself. For what you have become. An aged, distressed, disaster laden picture of Dorian Gray. There is this image we all have started carrying – our “social media” image. And in constantly trying to project it on the world, we start believing in it. We start believing in our supposed flamboyance, our supreme talent, our aspiration-worthy lives. But lurking somewhere in a corner of the heart, still not touched by the need to prove, is a picture that taints with every pretense, every lie, every projection. And then, one day, walking across the corridors of introspection, you stumble across it. You cringe and crumble. Because now you no longer remember what you used to be. Whatever did I used to be? Where was I headed? That’s epiphany. Or something like it. It’s late in the night, and I have so much to write. Maybe I am being foolish. Maybe masks are a way of protecting yourself. But from what? Or whom? And why? So yeah. Whatever did I used to be? There used to be a blog. It was called Life In 2 Suitcases. I wrote for no one there. I just wrote. There was no tainted picture back then. Just a sense of being in the moment. No masks. It was so liberating because no one was reading it. There were no PRs and Brands lurking to judge your traffic, your social media followers, your “influence”. I wrote with abandon, like a child born to a beach swims. No boundaries. Just inner worlds laid bare through words. And it connected me to people who did not care what I put there. It connected to the untainted parts within them. Are you reading this? Do you remember what you were? Before every moment needed to be shared. Every coffee mug had to be beautiful. Every book had to show how knowledgeable you are? Every shade of lipstick had to be broadcast to your followers? Do you remember? I once went for a walk when it was raining. Alone. Sat at Marine Drive, holding an umbrella, still soaking wet, and chatting up a tea-vendor. He did not ask me to review his tea, or give me a list of deliverables. And yet, did not charge me for that cup of tea. There really was no blog back then. Just me, that rain, and that moment. So, there is this tainted picture. I tried to sleep. Tried for about half an hour. Or more. I don’t know. Felt like a long time. This endless void has opened up in my stomach. Past few years of living through other people’s expectations. Creating an illusion. Air kissing. Hugging people I don’t feel anything for. I could retch my entire insides out. But that won’t clean the picture. It will have to be done, though. I am not good with masks. Anger. Denial. Pain. Envy. Feeling worthless. Knowing deep down you are worth so much more. Wondering how you ever got to this point where a complete stranger stares back at you in the mirror. Might be a great plotline for a horror movie, but just doesn’t fly well in real life. What the hell. 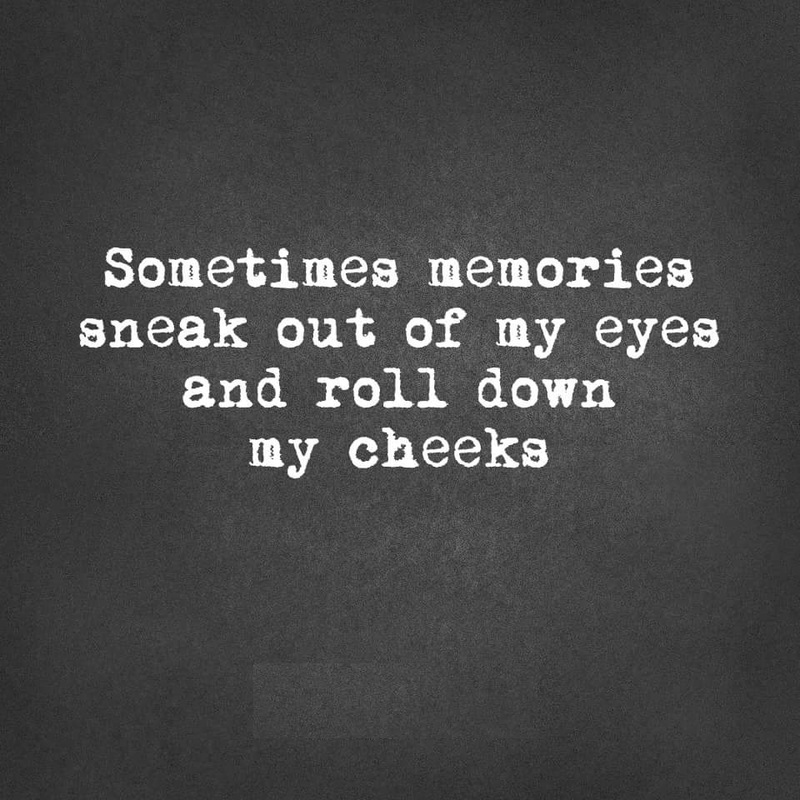 I remember. Maybe not what I used to be, but parts of how it felt. And it hit me today. It had nudged me ever so often in the past few months. But today, it punched me in the face. This March was a month of madness, really. I felt that I had fallen through the Rabbit Hole, and pretty much felt like Alice in Wonderland through every day of the crazy month. Took a Breakfast Masterclass, shot some recipe videos, and flew out to Delhi for the launch of Saffola Masala Oats, Chef’s Choice Range in Italian and Chinese flavours. That last bit, especially, made me feel like, you know, such a lah-dee-dah blogger. I mean, it’s not often that you fly out to Delhi, practically for a lunch break, and then fly right back into Mumbai, the same day. Because, you know, there was important stuff to be done – like packing for the Goa break we were leaving for the following Monday. I signed up for the event, and instantly had a panic attack. There was so much work to do! So many deadlines to meet! But Kumar Jhuremalani of Pet Pujaris convinced me, as he always does, to come along. And boy, what a day it turned out to be. So, the brief was simple. Come over, taste our two new flavours, - Chinese and Italian, give us an honest feedback, interact with three young chefs – Kunal Kapoor, Saransh Goila and Shipra Khanna. That’s it. You are done. It looked like a cookout. Oh, well! It takes a lot to get up at four in the morning, on a Saturday. Somehow I managed it, and it turns out, quite a few bloggers from across India joined the early-morning gang. Delhi was, you know, how Delhi is – sweet and welcoming. A cup of coffee, and some breakfast, and we were ready for the event. Or, as we all had guessed, the cookout. But first, the launch. 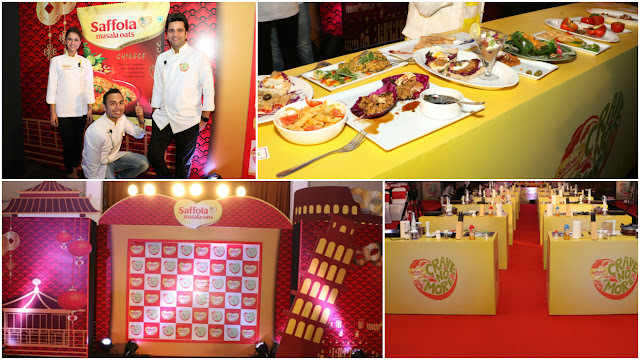 Chef Kunal Kapoor, Saffola Oats brand Ambassador, introduced the two new flavours, a perfect blend of health and taste. We had tasting portions sent out to us, and believe me, the two flavours, Chinese and Italian, are impressive. Saffola Masala Oats Chefs Choice Chinese Flavor has a spicy tangy taste, which comes from a mix of juicy corn, crunchy french beans and capsicum, leaving you with an authentic Chinese flavour. Saffola Masala Oats Chefs Choice Italian Flavor is a delectable mix of green capsicum, spicy red chilli flakes, oregano and a dash of pepper which gives it a cheesy taste with just the right amount of spice. I personally find oats awesome, but family doesn’t vote for it. But these two variants are bound to be an instant hit with even the fussiest eaters. 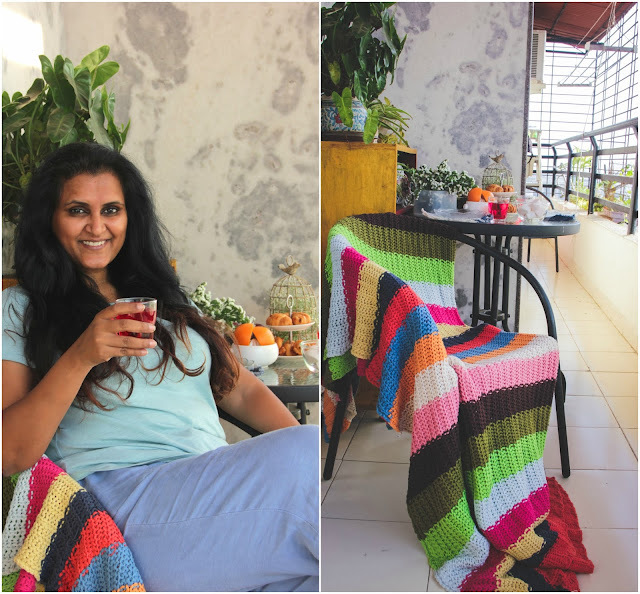 At BreakfastProjekt, I always lay emphasis on a healthy breakfast to kickstart your day, and these two would a perfect addition to any pantry. Following the product launch, Chef Kapoor was joined by the other two members of the Saffola Fit Foodie panel – Chef Saransh Goila and Chef Shipra Khanna. Chef Goila picked out the Chinese variant, and spent just a few minutes to pepare an awesome Masala Oats Chinese Wraps. Chef Khanna made a quick and simple Cottage Cheese oats with yogurt and apple salad. Choosing the Italian variant as a base. This was followed by a cookout challenge with the bloggers, wherein some of us were called upon to use one of the variants to create a recipe on the spot! Sleep-deprivation and recipe ideas don’t go too well. Add to that the fact that I ended up being in the first batch. AND, we had 20 minutes to think, select our ingredients, prepare, chop, cook, present and serve. I made these Crimson Pepper Boats, using the Chinese Masala Oats. Phew! What a crazy flurry of activity that was, with the three chefs following up on all our steps, and encouraging us, while reminding us how little time was left for us to finish cooking! That's me chatting up with Chef Goila while also trying to cook! While the second batch cooked, I tucked into one awesome spread of healthy and awesome lunch (Delhi, your food is gorgeous! ), and before I knew it, it was time to fly back to Mumbai. Turns out, Kumar was one of the winners of the Phase 1 of this challenge, and will participate in the Phase 2 “Food Truck” Challenge in Mumbai. Best of luck, my foodie partner in crime! But think about it… Some 24 variants of the Oats recipes were created that day, each one better than the other. This was some awesome electric energy, folks! The fact that the two new flavours lend themselves so easily to so many recipes says something about the role they can play in the kitchen. You will definitely Crave No More when it comes to tasty food that's also very healthy. I am going to improve upon my own recipe and share it with you guys right here. And then, maybe you could share some of your own variants right back. What say? Anyhoo! The madness that March brought in doesn’t show signs of slowing down as yet. There are tons of recipes that I need to start sharing with you guys, pronto! Send me a virtual kick, will you? My procrastination is reaching art levels. Till I share another sliver of madness with you, be good my friends. Looking for a way to make your Holi celebrations a whole new level of Awesome? Try this Eggless White Chocolate Mousse I made for Awesome Sauce India - the best place for snack sized videos, featuring some classic, some new recipes with a twist. This gorgeous baby goes from zero to finish in next to no effort. Melt chocolate, fold it into the cream. Set. Top with laddus. Done. Yup. That simple. Fool proof. Awesome! Add a bit more colour to your Holi this year. I assure you this would be a hit. I have tried several variants of this, and the eggless variant is most preferred by my friends and family, as it's a great dessert to serve at festivals. If you do try this mousse, leave a comment below to let me know how it goes. And check out more such recipe videos on Awesome Sauce India's Facebook and YouTube pages. It's foodporn at its tempting best! Melt the chocolate chips, golden syrup and water together in a double boiler till you get a smooth mixture. ** If you don’t have a double boiler, bring water to a simmer in a large sauce pan, and place a heat-safe bowl over the pan so the bottom of the bowl is not touching the water. Melt the chocolate chips slowly, stirring with a spatula, to ensure no lumps remain, and all the chocolate melts. Remove from heat, and let the mixture cool slightly. Whilst the mousse mixture is cooling, whip the cream, using a large whisk or a hand-blender with a whisk attachment. When you start getting soft peaks in the cream, fold it cream gently into the chocolate mixture, stirring to get an even mixture. Once you get a uniform even mousse mixture, pour the mousse into bowls or glasses. Leave about an inch on top for the topping. Refrigerate for 4-6 hours or till the eggless mousse is set. In a medium sized bowl, crumble all the laddus. Top each glass of the eggless mousse with the laddus and rose petals. Breakfast Evangelist. I don't even remember how that bit got started, but I wear it now with pride and a wide smile. I try, in my own small way, to remind you all why you should not be missing the first meal of the day. I experiment with recipes, I explore local markets whenever I travel, and I try and surprise myself and my loved ones with new flavours and textures, all on the breakfast plate. It's never been a task, but a joy I truly want to share with you all. 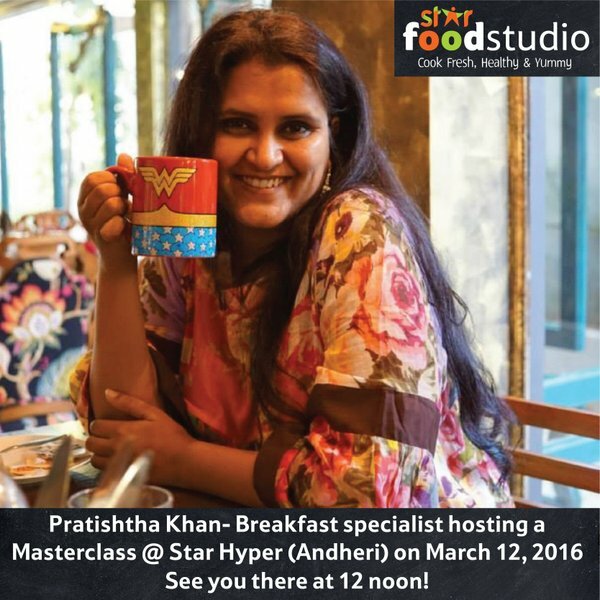 And so, in that quest, I will be sharing some of my favourite breakfast recipes at the Star Hyper, in Andheri, on 12th March, 12 noon. I have resolved to not make this another one of those workshops where I teach and you sit watching. This will be a fun space, with lots of interaction, questions, answers, and a lot of discussion on how can you and I together make breakfast the new love of our lives. Sounds good? Can't wait to connect with you, and share your breakfast stories! Happy International Women's Day, Ladies! My only contention with this celebration is that every day, in fact, is women's day. Because we fight gender stereotypes every single day. We break through invisible glass ceilings every day. We multitask, we work our rears off, we grow, we take every challenge in our stride... every single day. There are no days-off from being a woman. There is no vacation from the many roles we play. Our minds have a million thoughts running though them, every single moment. And so I say, every day is a day of waking up a woman, juggling her many hats, braving the heat the world sends our way, and taking it all in our graceful stride. But still, it's a great idea to set ourselves a reminder of what we are, and what we accomplish despite the many odds. So I feel blessed to be a part of this short snippet on what goes inside the heads of women as they go about their day. Shot beautifully by Black & Yellow, for IndiaMART, this film gives the world a sneak peak into the mystery, the magic and the wonderland that is a woman's mind. I hope you enjoy watching it as much as I enjoyed writing it.